Mark grew up watching Roy Rogers, Gene Autry, Hoppy and the Lone Ranger. According to Mark “A cowboy delivers the herd to the end of the trail and is free to move on to the next adventure in his life”. 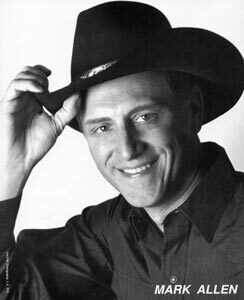 Mark has had many adventures: he has been a Businessman, Producer, Wild West Performer, Comedian, Auctioneer, World Traveler and Author. Mark has delivered many a herd. Born Mark Altschuler in New York City, he had a difficult time with his last name. “When I started in show business announcers had a hard time with my last name. If they could pronounce “Altschuler” the audience would yell back “Gazuntite”. So.....Mark Allen was born. Mark has made 6 recent appearances on the number one hit show on the History Channel, Pawn Stars. When someone try's to sell an item that they need more info on the Pawn Shop calls in an expert. Mark is there expert on Western memorabilia. From Indiana Jones Bullwhips to saddles, there has been a great deal of response to his appearances. The New York Cowboy Does It All!!! From an early age, Mark was proficient with all the cowboy skills: Horses, Whips, Ropes and Guns. He was lucky to meet and learn from many old Wild West Performers and Vaudevillians. He learned from the best and today is sought after by Professionals and armatures alike as one of the leading coaches in Wild West Skills.